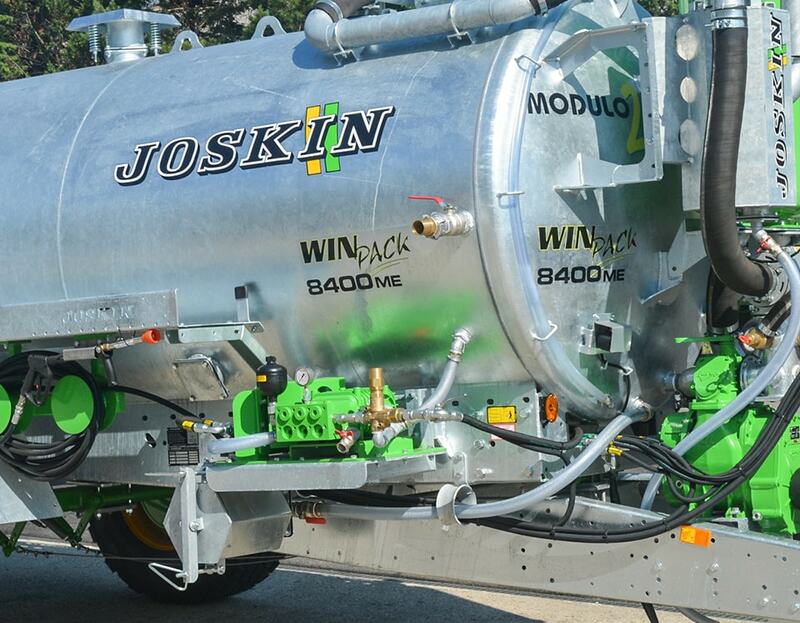 JOSKIN completes its range of hydrocleaners with 4 new models suited to conventional uses. They can efficiently empty septic tanks, even the least accessible ones, by means of an industrial vacuum pump. The high-pressure pump unblock and clean drains and hoses. 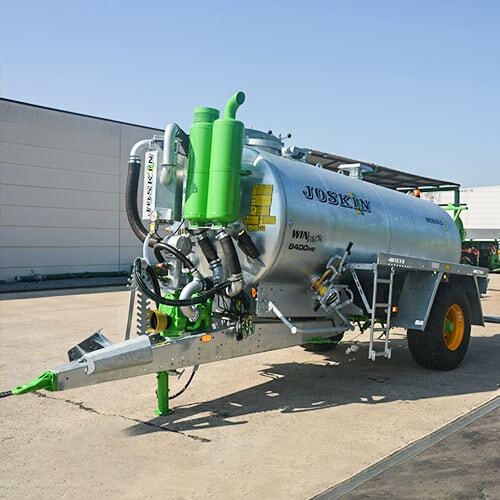 The galvanized tank is split in two parts: a water tank (1,500 l or 2,000 l) and a sludge storage capacity of 6,900 l, 8,500 l or 12,000 l.
The suction capacity is high thanks to a P.T.O.-shaft driven DL 150 lobe pump (15,000 l air/min), which can work continuously during a long time. 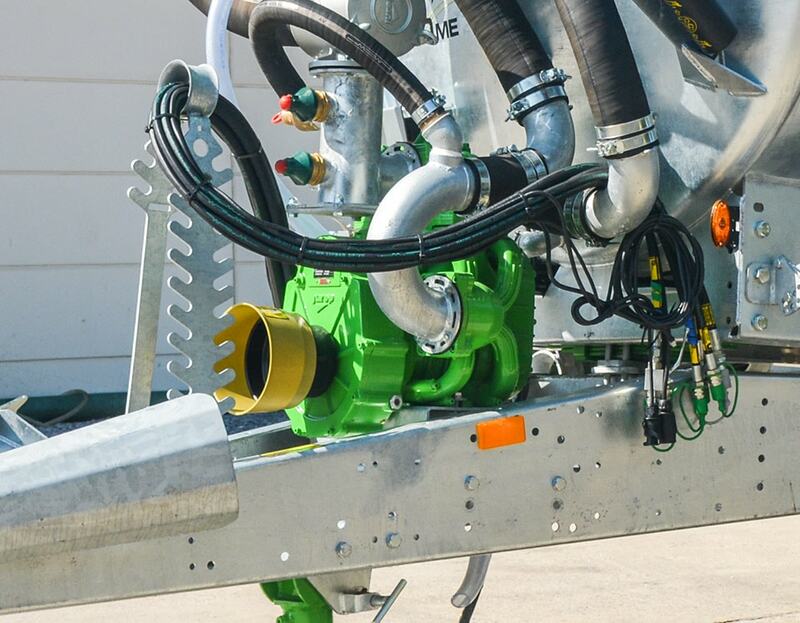 With a power of 70 l/min at 120 bar (90 l/min at 120 bar as an option), this piston pump is hydraulically driven from the tractor. It delivers the required flow to inject water.